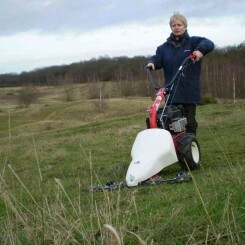 Lightforce Two Wheel Machines consist of the Carry Powered Barrow, (with petrol engine or battery option), the Power Scythe or Sweeper and the Light force Two Wheeled 190cc Petrol Tractor, which can be supplied with manual or electric start and any choice of its complete range of twelve different implements. 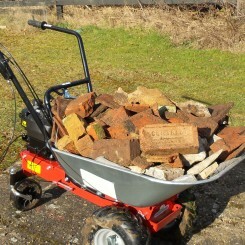 The Lightforce M210 two wheel tractor is complete with 87cm twin blade power scythe. 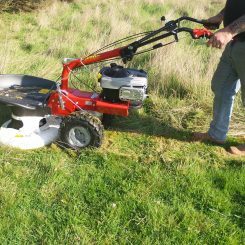 Main uses long grass cutter, sweeper, snow plough..